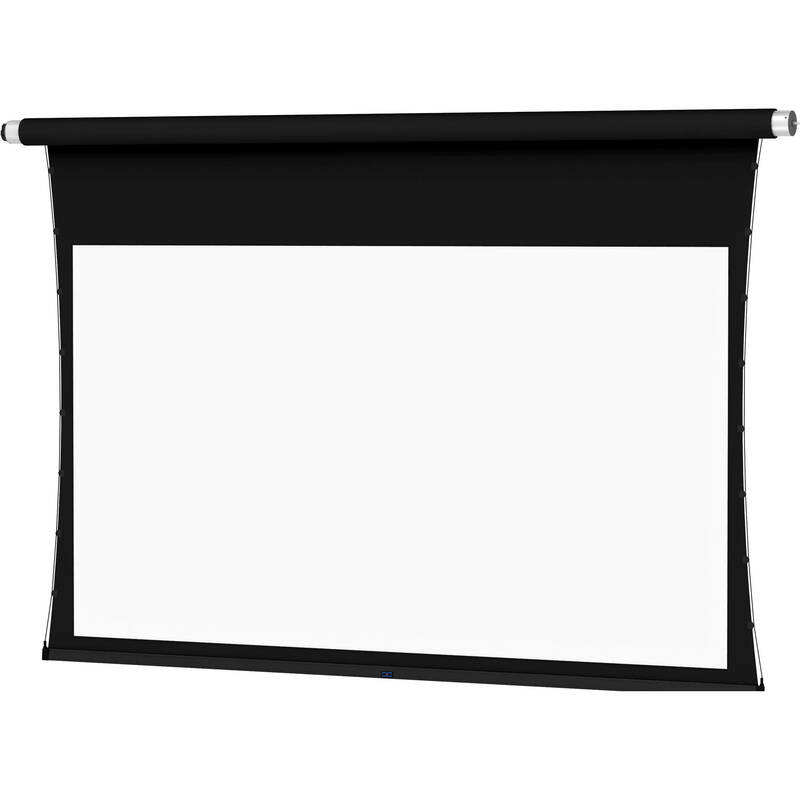 The ViewShare Tensioned Advantage Electrol 72.5 x 116" 16:10 Screen with HD Progressive 1.1 Contrast Surface (Fabric, Roller, Motor, 220V) from Da-Lite integrates an HD camera into the screen and is compatible with any free peer-to-peer video conferencing software. The ViewShare system screen features simple ceiling-tile installation that can be done in two stages. The screen case can be installed during the rough-in construction stage, and the fabric assembly can be completed during the finishing stage. This screen system is wired for 220V European. Note: This screen does not include a box and is designed for installations where a box has previously been selected. The box that goes with this fabric, roller, and motor is B&H itemcode DA24735EBLSI. HD Progressive 1.3 is ideal for applications where projector brightness and screen size require an increase in gain, the purest white HD Progressive surface offers true color reproduction, and allows for more flexibility with ambient light conditions. HD Progressive 1.3 has a gain of 1.5 and a cone of 150°.